Enter the Great room with High ceilings. 3 bedrooms + 2.5 bathrooms + Den downstairs located near bathroom that could be converted to 4th bedroom. Double doors leads to Large Master Suite with high ceilings - Private bathroom - Wall to Wall closets & Balcony. Attached 2 car garage could be converted to Accessory Dwelling Unit (ADU). 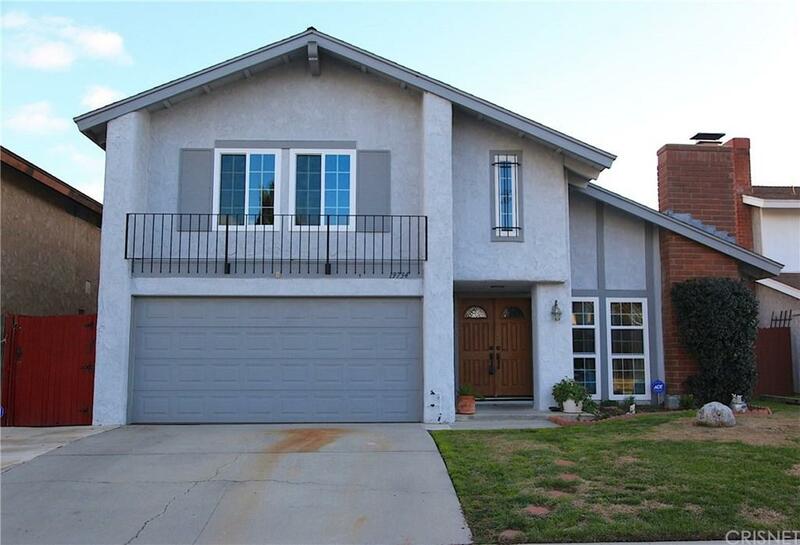 This fine 2 Story Home has over 2,100 sqft. of living space. Updated Kitchen - Granite Counter Tops Custom Cabinets - Gas Oven - Microwave Oven - Dishwasher - Refrigerator - Washer/Dryer included. Enjoy backyard barbecue parties - pass thru serving window - Pool + Spa on hot summer days. Copper Pipes - Energy Efficient Windows with Lots of Natural Light - Double Attached Garage.Ask about $2,000 1st Time Buyer Grant and Make Your Best Offer Now.